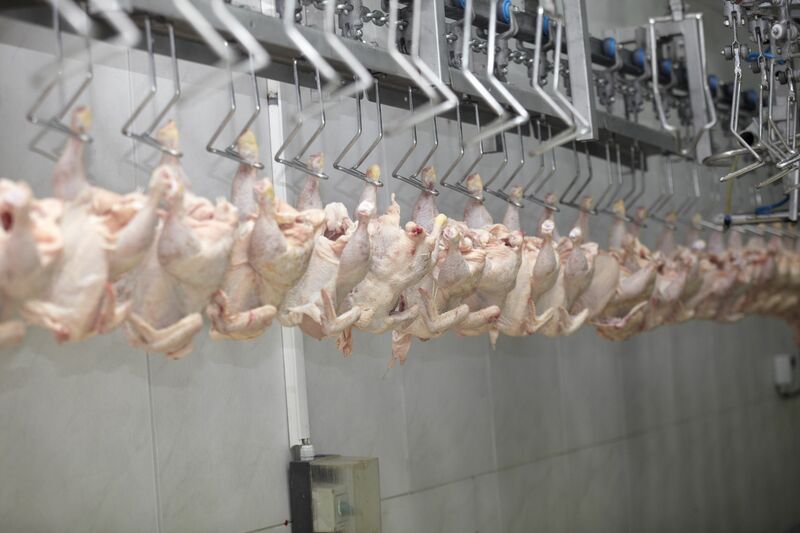 Meat & Poultry - Hydro-Thermal Corp.
Hydro-Thermal systems conquer fears of strict regulatory requirements, shutdowns, and catastrophic recalls, with reliable heating technology and precise temperature control. Our patented heating system mixes steam and process liquids completely while delivering precise temperature, minimizing maintenance, and eliminating hard water scaling with a self-cleaning design. Greater energy efficiency of up to 30%, helps contain costs and increase reliability. For more information on our advanced direct steam injection technology, click here. The type of heater you need is dependent on how it will be used. 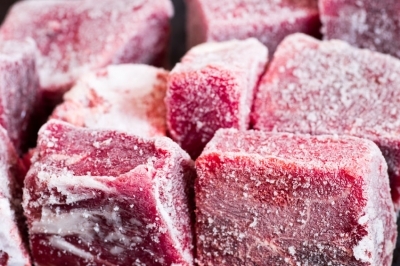 No matter what your application, Hydro-Thermal has the solution for every application in the meat & poultry area. All of our heaters share unique benefits, including internal modulation, self cleaning ability and rugged design and construction. For more information on the EZ Heater, click here. For more information on the EZ Skid System, click here. Available in a variety of alloy materials including: Stainless Steel (316, 316L, 317L, AL6XN, 254SMO & 2205), Hastelloy & Titanium. Hydroheater has a liquid turndown of 2:1 for starch conversion, and up to 3:1 for water-like fluids. If a greater turn-down is required consult Hydro-Thermal Engineering. All Industrial Hydroheaters include a combining tube. An extended combining tube may be recommended for a large ΔT (high temperature rise). Please contact Hydro-Thermal for more details. For more information on the Hydroheater, click here. Body materials in a variety of materials, including 316/316L SS, 254 SMO, 1.4408 Harmonized, Hastelloy; consult factory for other materials. Moderate steam capacity, up to 50°F ∆T under most conditions. Handles heavy slurries, medium consistency pulp stock or higher solids content. Easily plumbs into existing plant utilities. For more information on the Solaris, click here. For more information on the NOH, please click here. 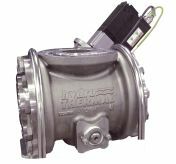 Hydro-Thermal's heaters utilize a Fisher reverse-acting diaphragm actuator (“fail close”). Generally coupled with a filter/regulator and a Fisher DVC 2000 or a DVC 6200 positioner that converts a 4-20 mA DC input signal to pneumatic output signal to the actuator. For high vibration applications remote mount positioners are available. Alternative positioners are available depending on unique processing conditions or upon request. Please contact Hydro-Thermal for more details. There’s no place for inefficient heating technologies when people’s lives and your job hang in the balance. Every minute the production floor is down your plant loses, from hundreds to thousands of dollars, in just minutes. With instantaneous heating when you need it, our products are ideal for anywhere maintaining a precise temperature is critical or that you need immediate, reliable hot water. That reliability, along with temperature control and energy savings have led our solutions to be the replacement system for literally thousands of our competitors’ heaters. An example of why is a competitor’s heater was getting pulled out and acid bathed every shift due to 180ºF hard water scaling issues. Now with our EZ Heater system installed they haven’t needed to touch it for more than one and a half years! Heat accurately, reliably, and with 10-30% greater energy efficiency than heat exchangers or spargers. Patented self cleaning design results in no scaling and total uptime. Excellent for viscera pans, saws, knife sanitizers, hose stations/ spray bars and other 180F critical areas. Avoid costly fines or recalls by utilizing Hydro-Thermal's solution for all of your hot water needs. Our heaters offer +/- 1ºF (0.5ºC) accuracy eliminating fear of a recall and ensuring hot water to exacting temperatures where and when you need it. Click here for a viscera example. Click here for a hose station case study. Take hot water wherever you need it throughout the plant for clean up, CIP, kill floor, and hose stations. Ability to provide on demand, unlimited hot water eliminates the need for large storage tanks. During third shift cleaning and wash down at a facility, it is common to run out of hot water. The spargers or heat exchangers are not flexible enough to account for the varying conditions of wash down versus normal production. With Hydro-Thermal’s solution, never run out of hot water. Our turn down capabilities are flexible enough to provide hot water instantaneously at your desired temperature during production or plant wash down. In addition, manufacturers can save valuable plant space because our heaters and skids have a smaller footprint then a large storage tank. In the resources section below, there is a central hot water document with more information. Take central hot water to any location and temperature at required flow rates via a small slip stream system. Control critical temperatures to not overcook or damage product, while ensuring sanitation during cook process. Excellent for tripe and carcass washing, and beef and chicken feet removal/cook. Hydro-Thermal understands the importance of precise temperature. Whether it is fear of a USDA fine or recall, or the importance of a specific time and temperature cook process, we will ensure that you have the right temperature where you need it and when you need it. For instance, our heaters are often used for carcass or tunnel washers ensuring product quality through proper cleaning and sanitization. Click here for a beef feet example. Heat in a continuous, single pass and in-line, while realizing major savings of space, energy and approximately two hours in batch time. From bone to by products to blood, we can process any parts of the animal while eliminating burn-on through exact and continuous temperature control. In the resources section below, there is a pork rendering diagram with greater detail on where our heaters fit in your process. Precise temperature accuracy results in total uptime and increased production for hog de-hairing or bird de-feathering. Energy savings due to the atomization of the steam bubbles, eliminates steam waste to the atmosphere. Exact temperatures won't prematurely cook or desecrate the product. In the resources section below, there is a pork scald tank diagram with greater detail on where our heaters fit in your process. Realize major cost savings with precise temperature control to aid anaerobic digestion, keeping microorganisms at 100F to optimize effectiveness and drive more methane gas to power boilers. Hydro-Thermal's patented designs are able to handle highly viscous slurries without burn on, plugging, or fouling found with other solutions. In addition, companies can achieve thousands of dollars in energy savings by reusing the waste in their plants and utilizing it to heat or power their facility. Click here for a case study. For additional information on our water heating applications, click here. For more information on our products,	click here.